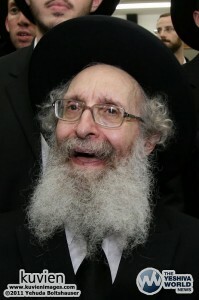 The following is a collection of more than 200 photos of Hagon Rav Nosson Tzvi Finkel ZATZAL. In addition to the large album of photos, there are three albums of photos taken just a few weeks ago on Sukkos by Kuvien Images for YWN. Below the album links are videos of the Rosh Yeshiva ZATZAL as he danced Simchas Bais Hashoeva in Mir Brachfeld, and video of the Rosh Yeshiva in his Sukkah, giving visitors Brachos. YWN PHOTO LINK: Click HERE for photos of the Rosh Yeshiva ZATZAL – by Kuvien Images, JDN, and Hillel Engel. VIDEO BELOW: The Rosh Yeshiva giving Brachos to isitors in his Sukkah.